Medical technology has progressed at a remarkable pace in recent years, allowing consumers to live longer and have higher-quality lives. Younger generations will likely benefit most from these advances because they will be able to use them more extensively, but a new study shows that Baby Boomers still hold a health edge over Gen X’ers and Millennials in some matters. Researchers from the American Cancer Society (ACS) have found that colorectal cancer (CRC) incidence rates are rising for young and middle-aged adults. They point out that three in ten rectal cancer diagnoses are now happening to patients under the age of 55. The trend started to develop in the 1970s and 1980s, but recent research shows that CRC cases are now rising at an historic pace and rival rates seen in 17th century. “Trends in young people are a bellwether for the future disease burden. Our finding that colorectal cancer risk for millennials has escalated back to the level of those born in the late 1800s is very sobering,” said Rebecca Siegel, an investigator for the ACS. CRC incidence rates were not always out of control; in fact, they had been on the decline until the mid-1980s. However, rates began to rise by 1-2 percent on an annual basis in adults between the ages of 20 and 39, and by 0.5-1 percent in adults 40-54. 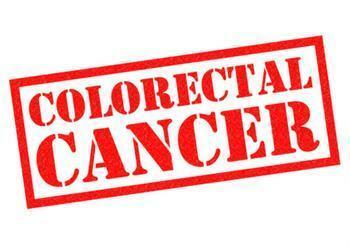 Cases of rectal cancer, in particular, grew rapidly between 1974 and 2013. The disease rose in incidence by 3% annually for adults in their 20’s. The same rate of growth was recorded for adults between the ages of 30 and 39 between 1980 and 2013. The rise in cases is somewhat baffling because the study shows that older consumers are affected at far lower rates than their younger counterparts. The researchers found that, compared to people born around 1950, those born in 1990 are twice as likely to develop colon cancer and four times as likely to develop rectal cancer. While further explanation is still wanting for what caused CRC rates to increase among younger people at such an astonishing rate, the researchers say that there are proactive steps that can be taken. They suggest that health professionals initiate screening for the diseases earlier and actively promote healthier lifestyle choices for their patients. “Educational campaigns are needed to alert clinicians and the general public about this increase to help reduce delays in diagnosis, which are so prevalent in young people, but also to encourage healthier eating and more active lifestyles to try to reverse this trend,” said Siegel. The full study has been published in the Journal of the National Cancer Institute.